Macclesfield's Jack Sampson scored the decisive goal as they edged out Tranmere in a nervy game. The Silkmen took the lead when Sampson tapped in Chris Holroyd's cross from close range. 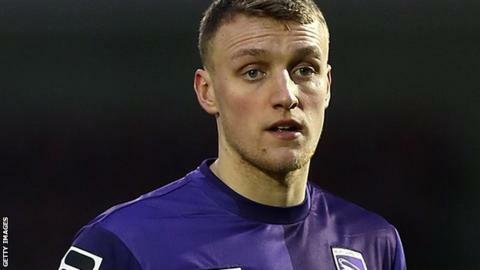 Macclesfield's substitute keeper Ritchie Branagan proved his worth, saving well from Jeff Hughes, James Norwood and Lois Maynard. Cole Stockton was also denied by Branagan, before the hosts saw a late equaliser disallowed for offside. Branagan had replaced Shwan Jalal in goal early on, after the keeper was forced to leave the pitch with an injury. Match ends, Tranmere Rovers 0, Macclesfield Town 1. Second Half ends, Tranmere Rovers 0, Macclesfield Town 1. Offside, Tranmere Rovers. Cole Stockton tries a through ball, but Cole Stockton is caught offside. Attempt saved. Cole Stockton (Tranmere Rovers) header from the centre of the box is saved. Assisted by Lee Vaughan with a cross. Substitution, Tranmere Rovers. Cole Stockton replaces Adam Mekki. Attempt missed. Lois Maynard (Tranmere Rovers) header from the centre of the box. Assisted by Jay Harris with a cross. Substitution, Tranmere Rovers. Ben Tomlinson replaces Jeff Hughes. Lee Vaughan (Tranmere Rovers) wins a free kick. Attempt saved. James Norwood (Tranmere Rovers) right footed shot from the centre of the box is saved. Attempt missed. Jeff Hughes (Tranmere Rovers) header from the centre of the box misses to the left. Attempt missed. Adam Mekki (Tranmere Rovers) left footed shot from long range on the left misses to the right.